­Court steps in – where the Penampang Council failed | Daily Express Online, Sabah, Malaysia. KOTA KINABALU: The High Court Tuesday put an end to the long standing impasse suffered by 497 buyers of Gardens Condominiums at Bundusan who had been kept waiting for the Occupancy Certificate. They had been unable to use its approved Development Plan access road to reach their completed homes – no thanks to an ineffective Penampang District Council under the previous State Government. The court found that through its action, the Council unnecessarily burdened the developer as well as the buyers, who had to pay their bank loans. The buyers were promised their keys in 2017 since construction started in 2013 and completed at end 2016 but were left in a dilemma due to the access road to the property being blocked by the developer of a neighbouring housing estate. The High Court ordered that access road be unblocked with all obstacles removed from the road reserve to allow the buyers unfettered access to the completed 500 units of Gardens Condominiums. The Gardens at Bundusan is a residential development project undertaken by the SC Land Group through its subsidiary, Marvelgold Development Sdn Bhd. The developer completed its construction in 2016 to 2017. Despite having complied with all the local authority’s requirements prior to the commencement of the project and at the completion of the same, the Penampang District Council (PDC) had yet to issue the Occupancy Certificate (OC) applied for by the developer. PDC insisted that Marvelgold Development Sdn Bhd seek consent on the use of the road reserve from the developer of the adjoining land even though the reserve road, situated at Jalan Farmosa B, is a common road reserve adjoining the Garden’s Bundusan. High Court Judge Martin Idang ruled that Marvelgold Development Sdn Bhd has “legal and/or equitable right to pass and repass Lorong Formosa B and Jalan Taman Formosa or such part of the road reserve thereof as rightful access to and from Jalan Bundusan main road to their said condominium housing land. The judge also awarded global cost of RM50,000 to Marvelgold Development Sdn Bhd. This was confirmed by lawyer Grace Chaw to the media Jan. 22 at the Kota Kinabalu Court Complex after hearing at the Technical Court as one of the lawyers representing one of the defendants was outstation. 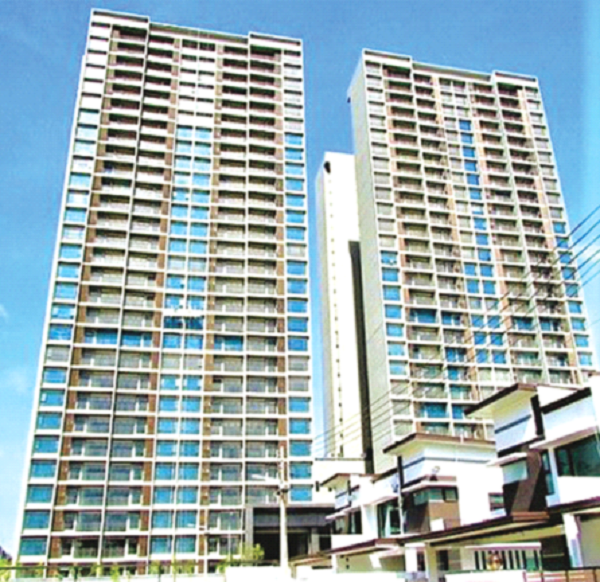 Marvelgold Development Sdn Bhd had claimed that development and construction of the residential project was done in accordance with approved development plans, duly approved by all the relevant local and State authorities, including Lands and Survey Department, JKR, Penampang District Council, Town and Country Planning Department and the Housing Controller of the Ministry of Local Government and Housing. Without such approved plans, construction would not take place. The developer’s architect had issued the Certificate of Practical Completion (CPC) upon completion and OC was applied in November 2016. However, the dispute over the road access kept the buyers waiting for more than 18 months and delay in the issuance of the OC. The Penampang District Council issued a letter to Marvelgold Development Sdn Bhd to get the consent of and work out the access road issue with the defendant developer which had yet to surrender the road reserve as the titled land owner, before OC could be approved and issued. Justice Martin Idang ruled that Penampang District Council should not have issued such a letter and wanted the local government to be guided by the judgment and decision of the court to play the role that they entrusted with, responsibly, instead of unreasonably burdening Marvelgold Development Sdn Bhd over the matter. MP Darrell Leiking had earlier said the PDC should relook at the whole approval process and where it had gone wrong, and how to expedite the issuance of the OC, stressing that the longer the stalemate goes on, it would be a potential loss for Penampang. “The PDC should be responsible and must act swiftly to resolve this mess as how could they have first approved a development such as the Gardens, when the question of the adjoining road reserve by a previous developer leading to the entrance of the new property has an issue or dispute which was unresolved,” he asked. Leiking said he would like to know how the PDC would explain this situation, as per usual practice, all road reserves pursuant to a development would be surrendered to the Council upon completion of any Development.